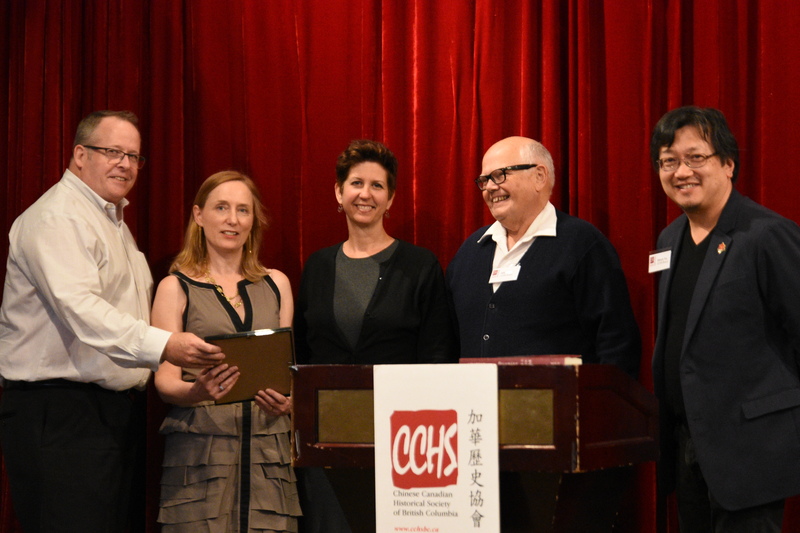 Professor Mary Chapman (second from left) is the inaugural co-winner of the Dr. Edgar Wickberg Book Prize for the Best Book on Chinese Canadian History for her book Becoming “Sui Sin Far”: Early Fiction, Journalism and Travel Writing by Edith Maude Eaton. This newly-established prize recognizes the significant contribution Professor Chapman’s research on the writings of Edith Eaton has made to the conceptions of Chinese Canadian writers in the history of Canada. The prize was established in honour of Dr. Edgar Wickberg, Professor of History at UBC and the founder of the Chinese Canadian Historical Society of BC. Dr. Wickberg brought together scholars, community researchers, educators, and a broad array of people interested in promoting research and education, as well as creating and protecting historical collections, about Chinese Canadian history and heritage.